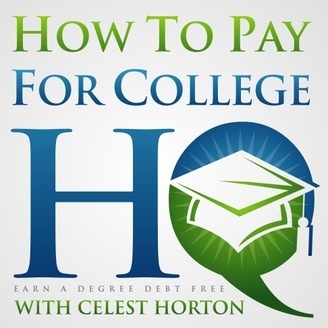 Teaching Parents How To Pay for College for Their Children WITHOUT LOANS. TOGETHER WE CAN END THIS STUDENT LOAN DEBT CRISIS. 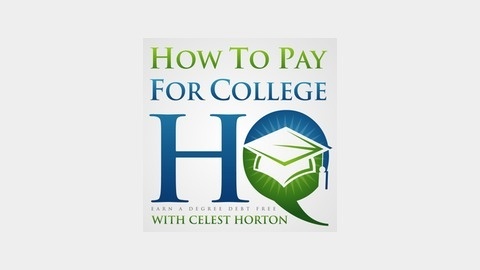 The How to Pay for College HQ Podcast is weekly interviews conducted by Celest Horton with industry experts to provide inspiration and guidelines to help parents and students learn how to earn a degree debt free and without the assistance of loans. With the national student loan debt in excess of $1.1 Trillion, it is time that we as a society look for solutions. Tune in every Wednesday to learn more. Payscale.com has released it's new College ROI report that also forecasts the 20 year ROI for various colleges. The 20 year ROI is calculated by taking the difference between 20 year median pay for a bachelor's graduate from a particular school on the list and the 24 year median for a High School Graduate less the total cost to attend the college.